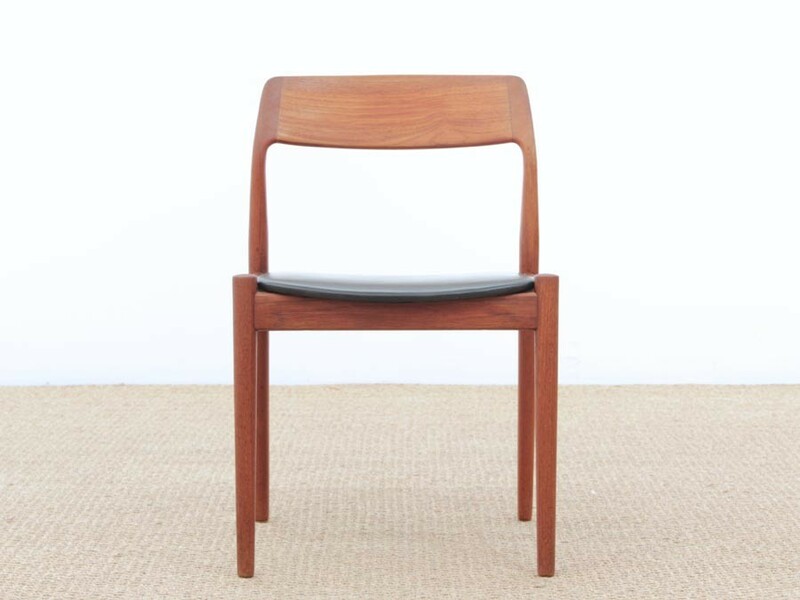 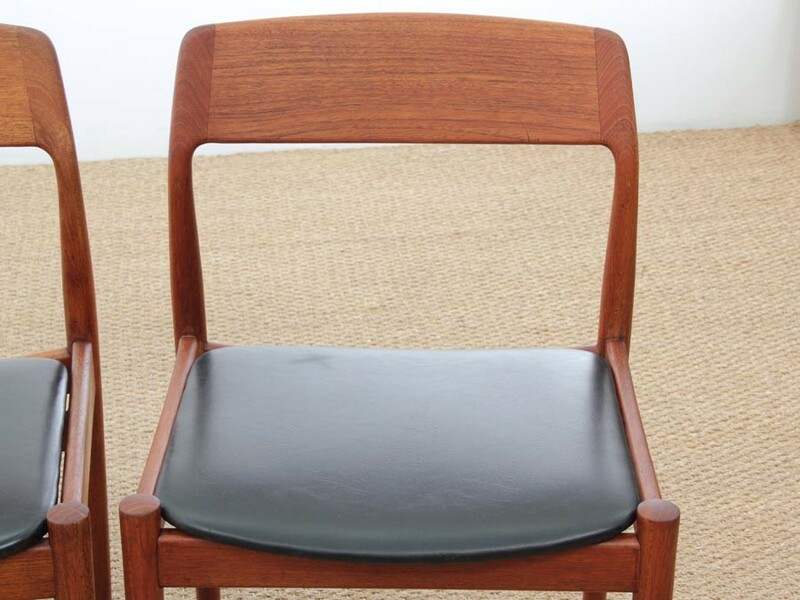 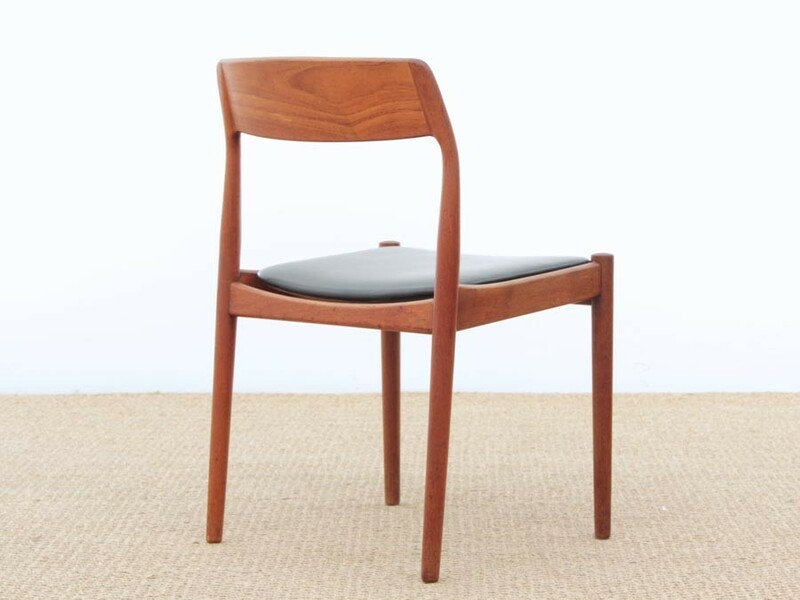 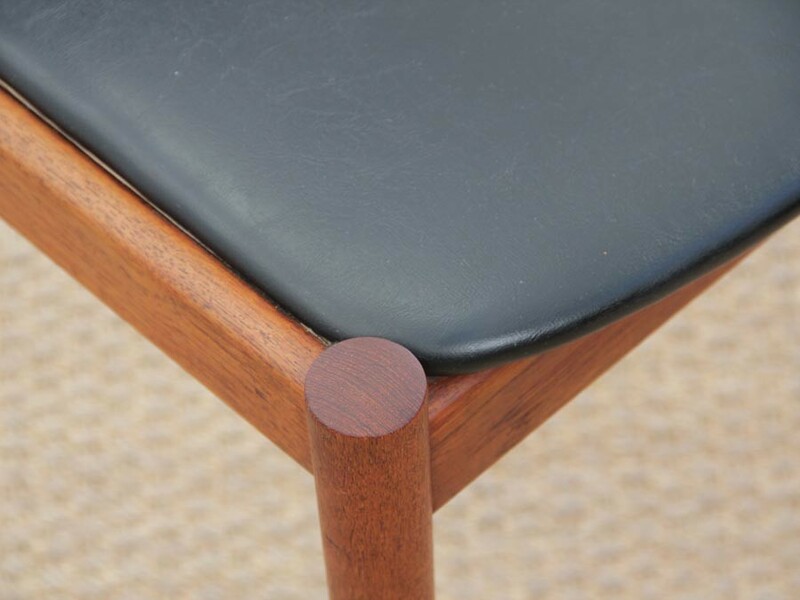 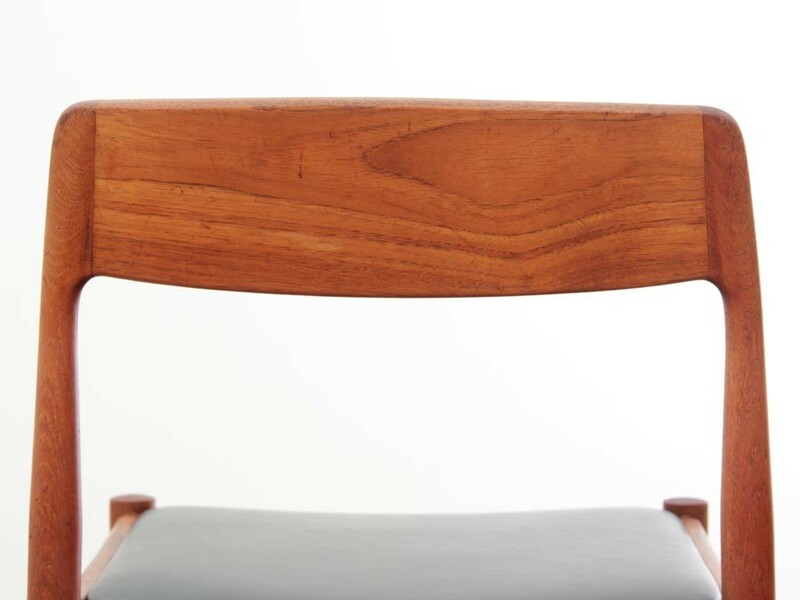 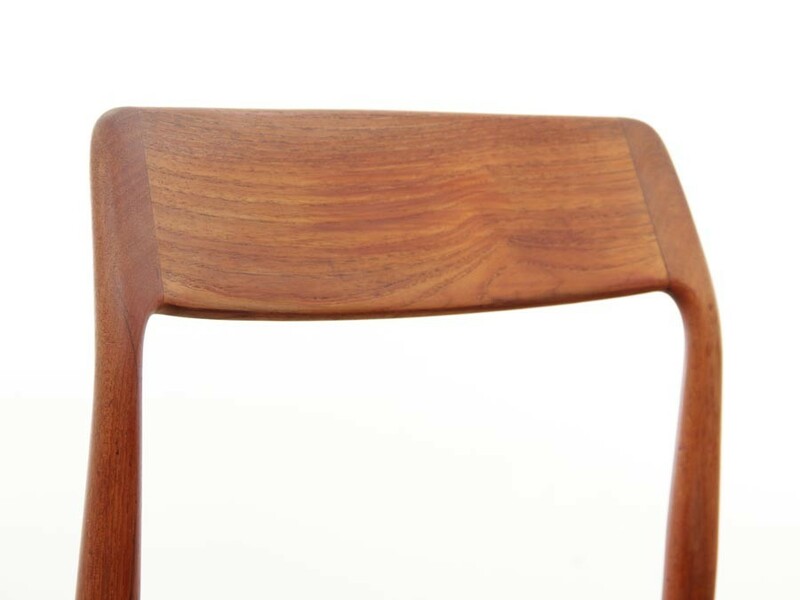 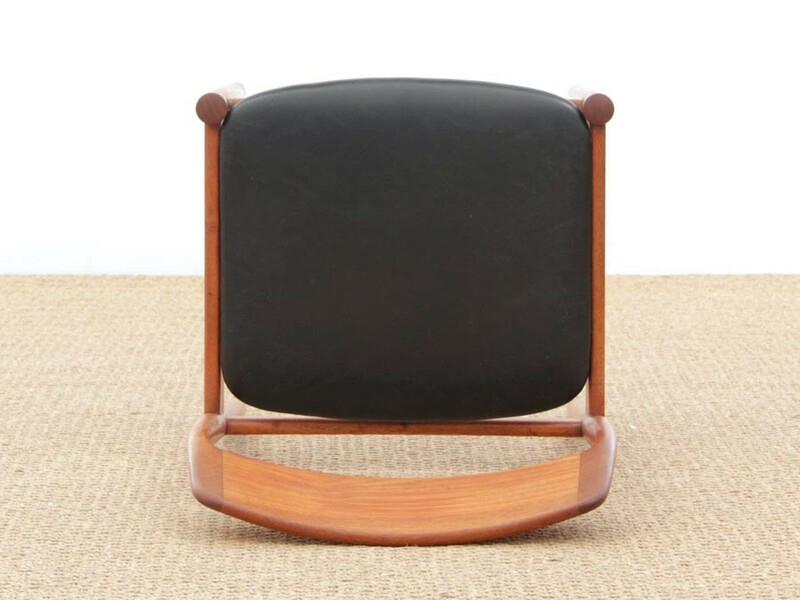 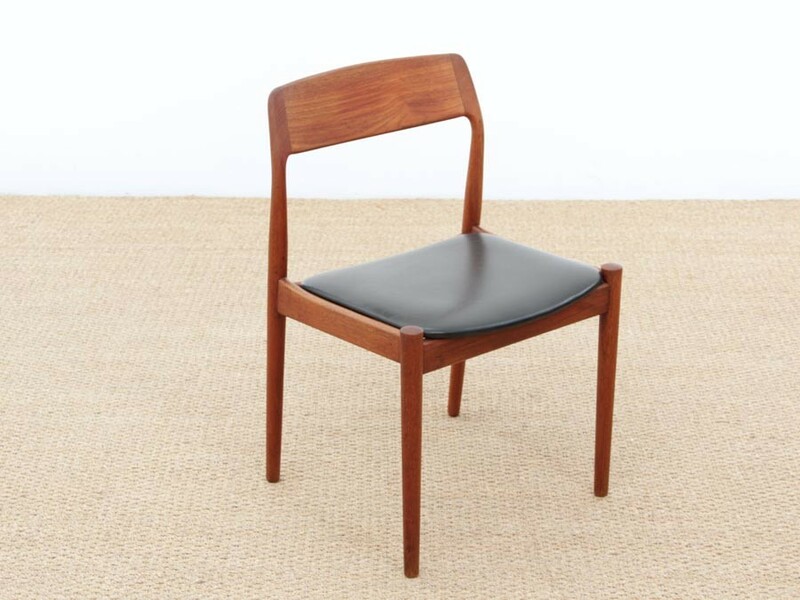 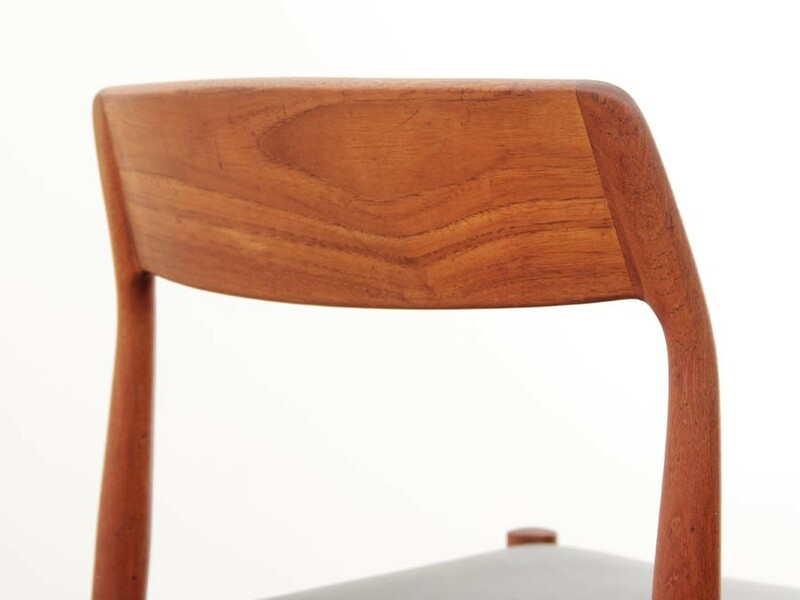 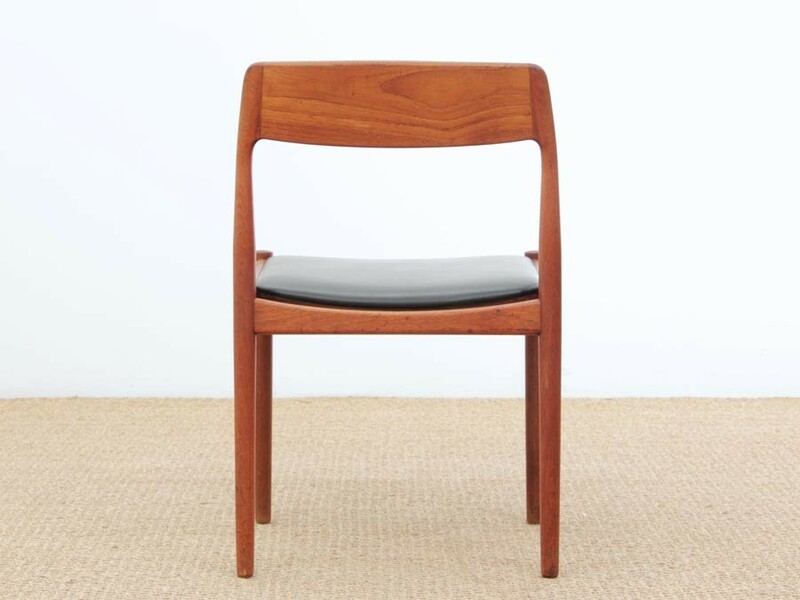 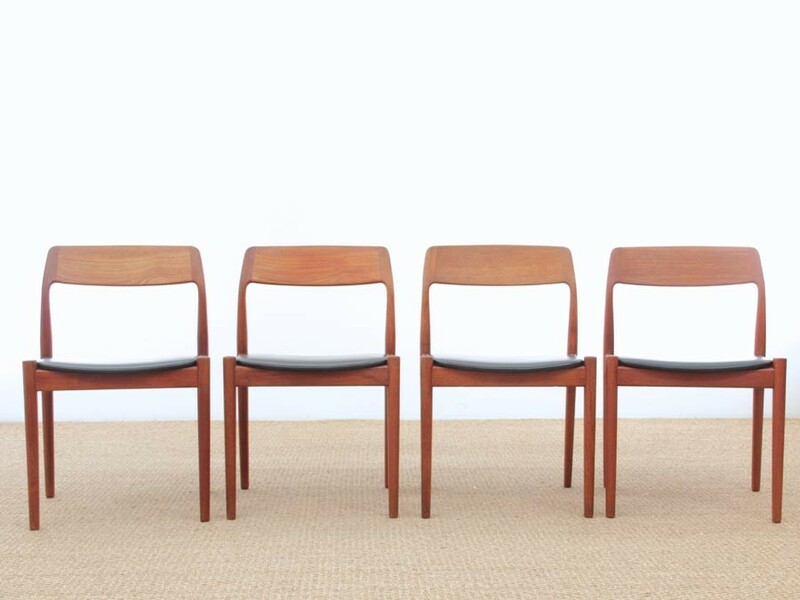 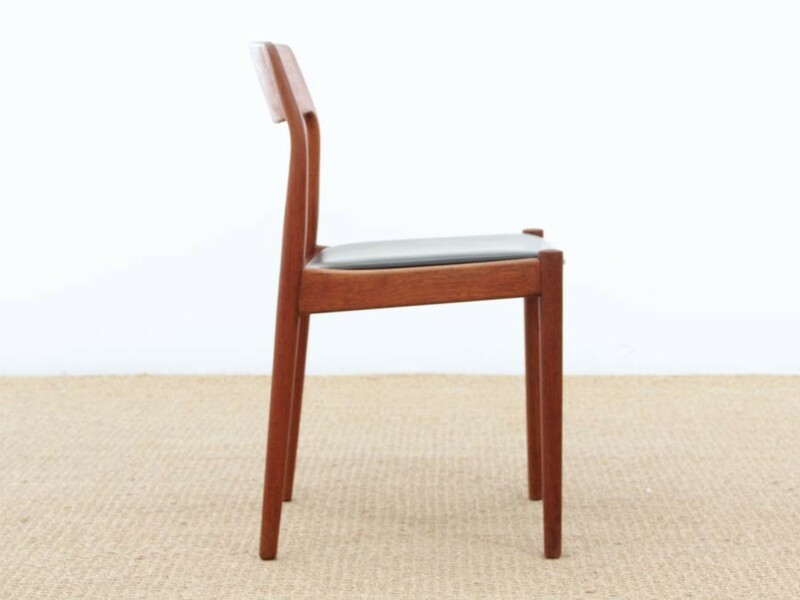 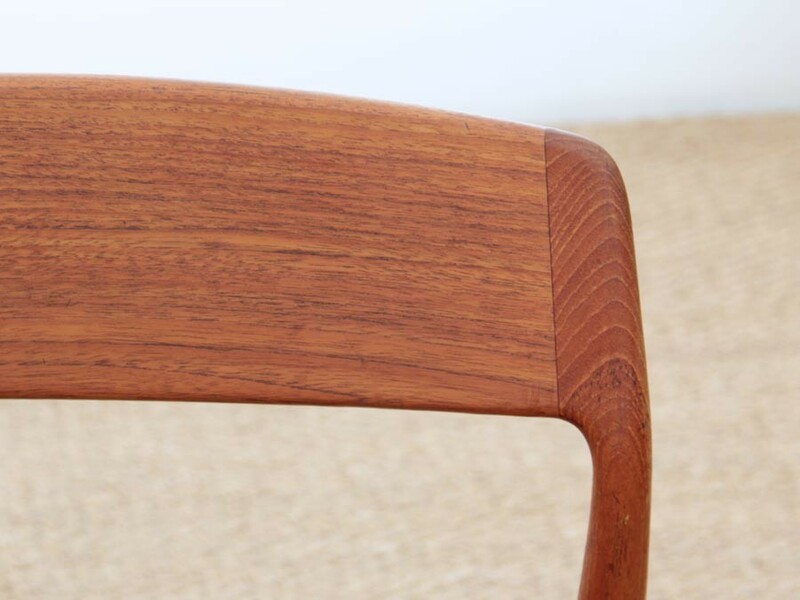 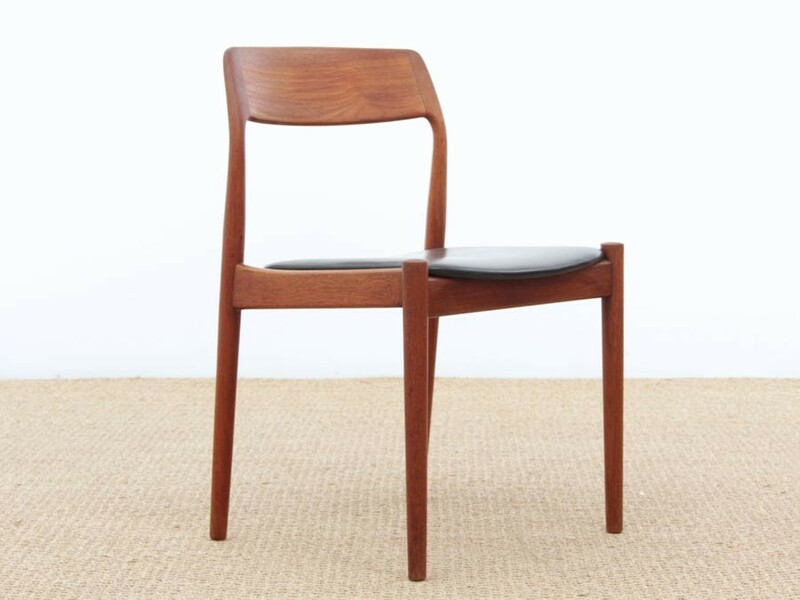 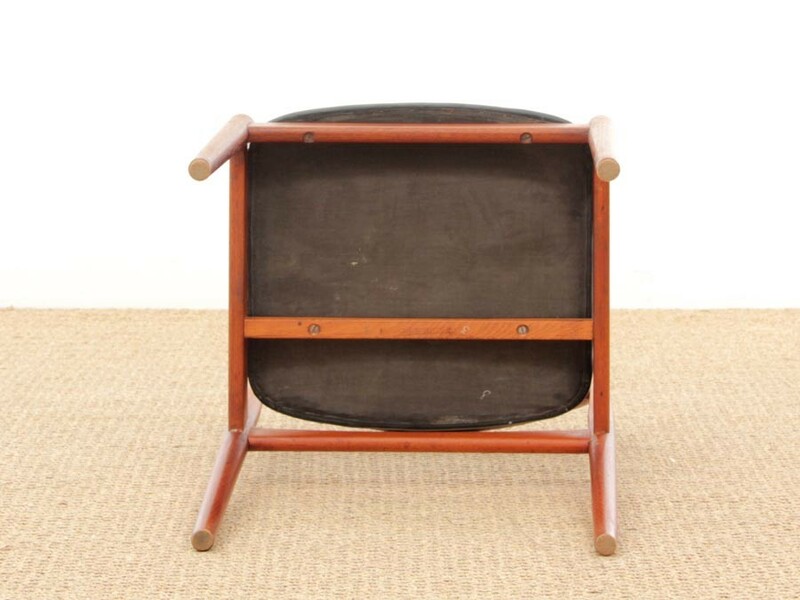 Mid-Century modern scandinavian set of 4 teak dining chairs by par Nørgaards Møbelfarik in 1963. 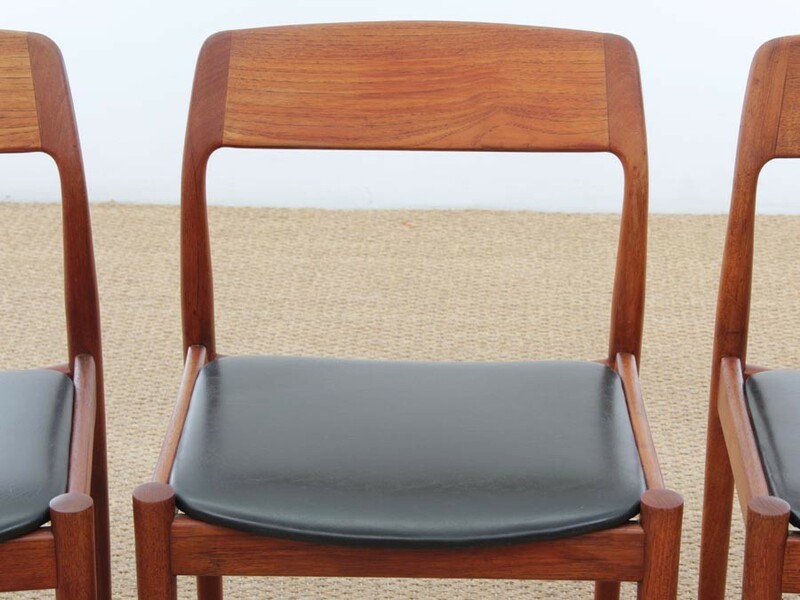 Original blmack similmi leather. 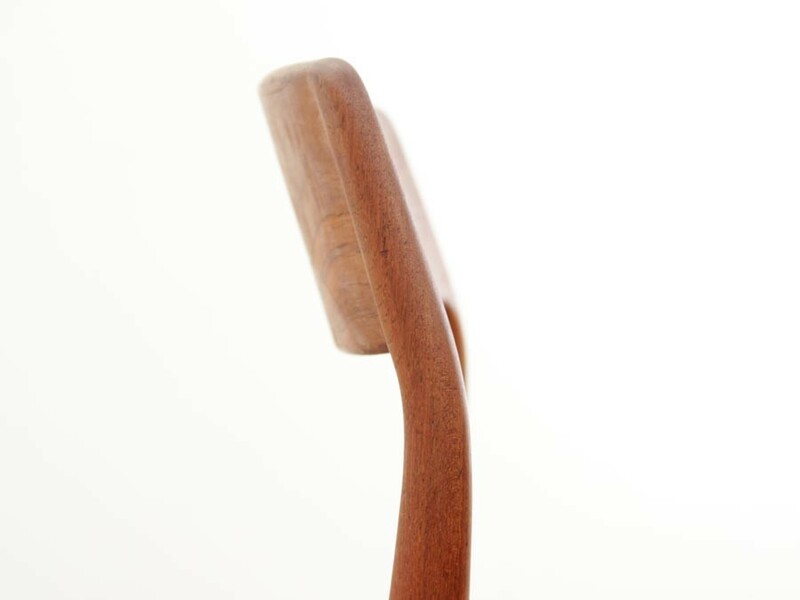 H 77 cm. 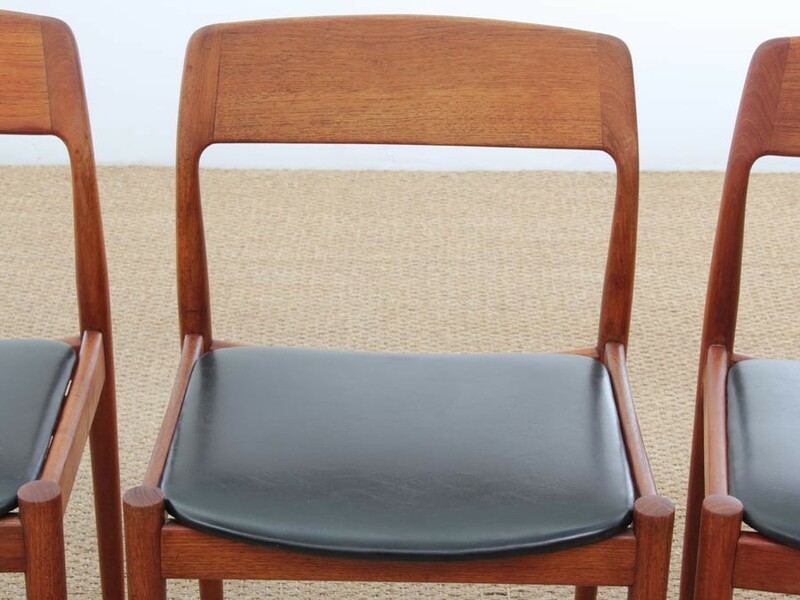 D 50 cm. 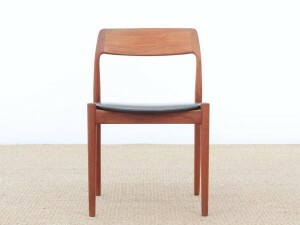 W 44 cm. 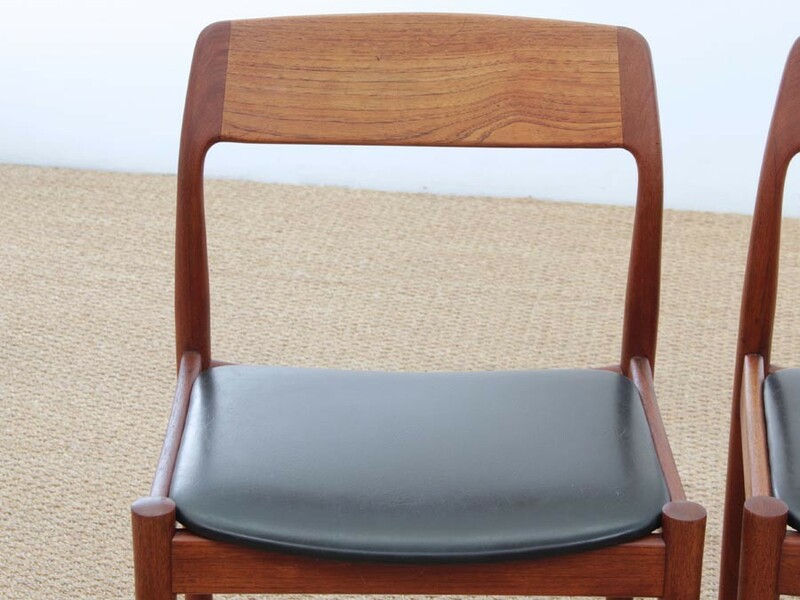 H seat 44 cm.